There are times in history when the military cannot be reduced any further. Typically, this means our country is engaged in some sort of hostile conflict. However, it can also mean a branch of service is not meeting it's recruiting goals to have additional numbers adding to the military population. There can also be certain jobs or MOSs that the military needs at a particular time and that group with those skills cannot depart military service. The term used to describe this situation is "Stop-Loss." The military handles these situations one of two ways. Initiating the Stop-Loss Provision, or using the recall rule under the President's Reserve Call-Up Authority. One way or another, the needs of the military during critical times will be met by either not allowing active duty members to leave the military or bringing former active duty members back into the military through the Reserves or Individual Ready Reserves if the volunteerism is not meeting the demands. There is a difference between Stop Loss and the contract you signed the day you enlisted in the military. When anyone joins any branch of the United States Military for the first time, they incur a minimum eight-year total service obligation (some special jobs, such as pilot, can incur even longer service obligations). Whatever time is not spent on active duty or in the active Guard/Reserves must be spent in the Individual Ready Reserves (IRR). Members of the IRR don't drill, nor do they receive any pay, but they are subject to recall to active duty at any time during their time in the IRR. 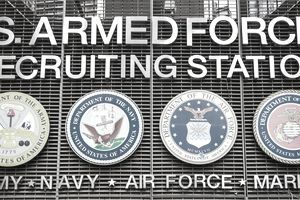 It is rare but can occur if the United States is attacked or there is a critical need for a particular skill a former active duty member has that the military needs immediately. If this is my initial enlistment, I must serve a total of eight (8) years. Any part of that service not served on active duty must be served in a Reserve Component, unless I am sooner discharged. This is not considered stop-loss, though it is often assumed to be. It is part of the President's Reserve Call-Up Authority. That is the basis of stop-loss. The Department of Defense maintains that the term "war" means anytime America's Armed Forces are engaged in hostile conflict, not only when war is declared by Congress. The stop-loss policy has been legally challenged, but federal courts have consistently found that service members' terms of service may be involuntarily extended under their military contract. Congress first gave stop-loss authority to the Department of Defense right after the draft ended. However, the military did not use the authority until the 1990/1991 Gulf War, when President George H. W. Bush imposed stop-loss on the military during the Gulf War. This stop-loss was later revised to include only those deployed and individuals in certain critical job skills. President Clinton imposed stop-loss at the beginning of the Bosnia deployment and during the Kosovo Air Campaign. Stop-loss was also imposed for a brief period following the 9/11 attacks, and then again in 2002 and 2003 as the military prepared for the Iraq Invasion. The current stop-loss program only affects members of the active duty Army, the Army Reserves and the Army National Guard, and it only affects individuals who are either deployed or have been officially notified that they are scheduled for deployment. Such members are prevented from separating or retiring from the point of deployment notification and up to 90 days following return from deployment.